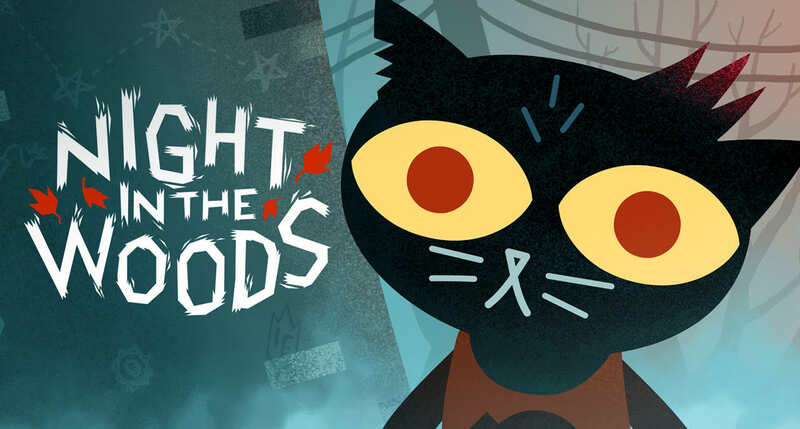 There's an audience for Night in the Woods that this game will hit harder than the rest. Here are just a few touch points this audience will identify: instant messenger, away messages, sleeping until 4pm, dropping out of college, being in a band that never plays a show, working in a low paying, low skill job for too long, bailing on said job as often as possible, living in a dying town but coming back because it's home. All of these things come together to form a picture of Night in the Woods, and it's not going to connect with everyone. You play as Mae, who's recently dropped out of college and returned home. You pick things up with your old friends, learn what they've been up to since you've left, but there's something else going on in Possum Springs. Mae has nightmares or visions and strange things around town that cannot be easily explained seem to follow her. To Night in the Woods' credit, the characters are well-defined, and it's a pretty big cast. Each has a unique voice and the often more to them than their initial presentation. This clarity of character definition extends to the beautiful art of the game. Night in the Woods has a distinct, clean art style that never looks bad or dull. Where it didn't quite come together for me was in the narrative and gameplay. It took a long time for the story to build to a point where it had to hooked. It is a slow starter. This may be purposeful, as a lot of the draw of the game is the connection you should feel to the characters, but it felt tedious at times. Adding to this tedium is the gameplay loop. Here's the loop: wake up and check your computer for messages from your friends. Talk to mom in the kitchen. Walk all over town, talking to everyone. They're always in the same places, but they always have something new to say. After you've talked to everyone, go back to the one friend you want to hang out with that night and tell them so. Then go to a character specific scene that nudges the story forward a little bit. These end at home where you talk to dad, check your computer for more messages, and go to sleep. Again, this may be purposeful. They're replicating some of the tedium of living in a small town, where you know everyone and they're all going through a similar routine. But it's not particularly thrilling and I wish there were a way to move a bit faster. Mae's not a quick walker and I got a bit tired of walking all over town at her slow pace. It plays like Super Mario Bros. at half speed and, instead of squishing dangerous mushrooms, you're chatting up your friends and neighbors. If it moved a bit faster, maybe it wouldn't have taken me nine hours to complete a story that could've fit within maybe a quarter of that time. I picked up Night in the Woods because so many people whose opinions I respect loved it. I get why they loved it, because the writing is good and the characters are great. But I found it pedestrian to the point of being just okay. It's got its moments but they're deep in there, surrounded by a lot of slow walking and repetitive gameplay. I was honestly quite surprised to find this game has an Overwhelmingly Positive user rating on Steam. It is very much not going to please everyone.